Gov Bruce Rauner, Republican of Illinois, today signed House Bill 3763, which provides funding for an increase in the general state aid to schools, early childhood education, bilingual education, and the Teachers Retirement System, the Chicago Tribune reports. HB 3763 is just a small part of the state budget, but it’s the important part as far as schools are concerned. By providing an additional $244 million in appropriations, the new budget increases the proration amount for general state aid from 89 percent, where it has been for several years, to 92 percent. 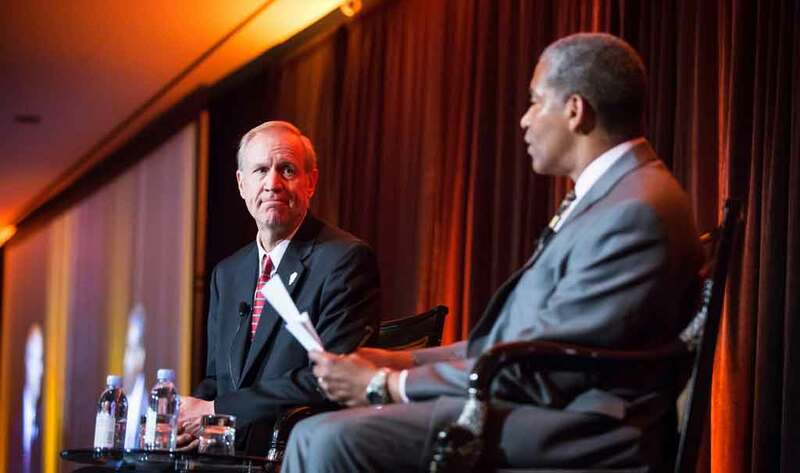 Mr Rauner said he would have liked to provide more money for the GSA as well as for early childhood education. “Education is the most important thing we do as a community. I would have done more for our schoolchildren, but I am taking action today to ensure our teachers are paid and our schools are open and funded,” he said in a statement. But, the Tribune reported, Mr Rauner was unwilling to keep the GSA payments from reaching schools as scheduled, on Aug 10, while he and lawmakers worked out the remaining details of the budget, which is at least, he believes, $3 billion short over all. “I refuse to allow Speaker Madigan and the legislators he controls to hold our schools hostage as part of their plan to protect the political class and force a tax hike on the middle class without real reform,” the paper quoted him as saying.